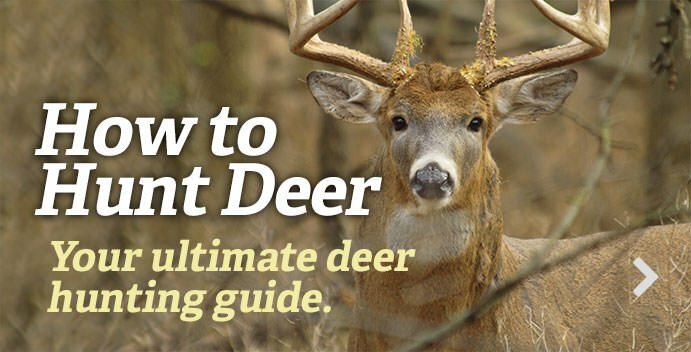 On a cold night — in the mid-30s or lower — a deer can be left hanging skin-on overnight. In especially cold weather, some hunters like to age a deer in such a manner for several days (more on aging in a bit). I live in a warm climate, and most of the deer I shoot in a season’s time are during early bow season, so I don’t have that luxury. When I find my deer and get it field-dressed, I plan on having it skinned, quartered and on ice within the hour. For steaks, you can’t beat a young, crop-fed deer. Deer that spend a summer munching on corn and soybeans have an easier life — and more fattening food sources — than those that spend a lifetime wandering the big timber in search of scattered mast and browse. The tastiest venison I’ve ever eaten came from a 1 ½-year-old fork horn shot through the neck near a picked corn field during early bow season. That young deer had nothing to do all summer except get fat. Am I saying to forgo everything the QDMA is teaching and whack every young buck that walks by? No. But I am saying if a deer for the freezer is your goal, young bucks from the early season are usually good eating, and have more meat than does to boot. If you want to shoot one and it’s legal, go for it. You don’t owe anyone an apology. I’ve been told that aging venison on ice is a mistake, but I don’t buy it. The mercury rises above 50 degrees on most days of deer season in my area. That’s too warm to let a deer hang, so icing them down is my only option. I line the bottom of a cooler with a layer of ice, add my deer quarters on top of that, and then cover them with more ice. A deer’s legs are held together just like yours: with ball-and-socket joints and connective tissue. Learn where these are, and you can cut an entire skinned deer apart within minutes with a good pocket knife. Laying into a deer’s legs and spine with a power saw puts bone marrow, bone fragments and whatever mess was on the saw blade into your venison. Would you season your steak with bone fragments and wood shavings? Didn’t think so. I keep three sharp knives handy when I’m cleaning a deer. One is for field-dressing. This one will be a stout knife with a drop point for prying through bone. Another is for skinning. Though a skinning blade with a gut hook is nice to have, I’ve been using a long-bladed fillet knife the last couple seasons, and it works beautifully. These knives can be honed to a razor’s edge and quickly re-sharpened. Other than quickly dulling a knife’s edge by slicing through hair, skinning is not taxing on a knife’s blade, so a flexible fillet knife works fine. Finally, I swap over to another knife — again, with a heavier blade — for my quartering. The point to take from all this is to keep your knives separate so you reduce contamination of the meat with blood and hair. Unlike beef fat, deer fat does not taste good. Neither does the sinew, membranes and other connective tissues holding the various muscle groups together. Venison, whether destined for steaks or hamburger, should be trimmed free of anything that’s not rich, red meat. Ironically, because fat needs to be trimmed away for the best flavor, venison often becomes too lean for hamburger purposes. Patties made for grilled double cheeseburgers often fall apart soon after hitting the hot grate. The solution is to add some fat, either beef or pork, when you’re grinding venison. We use cheap bacon, mixed at a rate of 5:1 (5 pounds of venison per pound of bacon). It makes our patties stick together, and the bacon adds a great flavor. Some commercial deer processors do a great job. But some do not. I once took a deer to a processor, filled out my paperwork and watched him disappear to the freezer room. He weighed my animal and returned with a corresponding amount of packaged, frozen venison. “We mix all our meat together and package a lot of burger at once,” he said. For all I knew, the deer I was getting could’ve been gut-shot, left to hang in 90-degree heat, and then dragged along a black-top road en route to the processor. No thanks. That was the last deer I ever took to a processor. Insist on getting your own deer back when you have processing work done. If that’s not possible, I’d advise doing business elsewhere. It’s enough to make a venison-lover cringe. Look, Italian dressing and BBQ sauce taste fine, but you’d better be a ravenous fan of them if you’re using them to soak venison steaks for two days. At the end of those two days, your steaks will taste just like … Italian dressing or BBQ sauce. There’s nothing wrong with a little splash of flavor enhancement, but try lighter flavors that complement, rather than mask, the flavor of deer meat, and keep the marinade time short. My usual maximum is three or four hours. A favorite marinade for grilled venison steaks is a mixture of olive oil, a spoonful of balsamic vinegar, a spoonful of Worcestershire sauce, some minced garlic (with the juice), a squirt of mustard and salt and pepper to taste. Venison recipes, especially grilled recipes, often call for removing the meat after a couple minutes per side. For many, the result of that is, “this is raw and gross.” And so they place it back on the grill. After a while, it turns gray, chewy, dry … and still gross. Grilled venison is best when eaten with a medium-rare interior, but the outside needs to be cooked. In order to do that, your grill needs to be hot enough to instantly sear the meat surface and lock in those flavors and juices. Flip your venison steaks one time. If you don’t have nice grill marks after three or four minutes, the grate isn’t hot enough. Freezer burn doesn’t help the flavor of ice cream or anything else, deer meat included. Modern vacuum packaging systems are handy and save on space, but I’ve used some that resulted in freezer-burned meat after a few months. If you’re buying a vacuum-sealing unit, get a good one. We package our deer the old-fashioned way, first wrapping our portion in clear plastic wrap, and then covering that with heavy-duty freezer paper. Each package is clearly labeled, not only so we know what cut of meat is inside and when it was killed, but also which deer it came from. If one animal proves especially tough, we know to use that meat for slow-cooking recipes. There’s no big mystery or secret to cooking venison. Treat it as you would treat very lean beef, and you’ll get outstanding results day in and out. We substitute deer burger for beef hamburger in virtually everything — chili, tacos, sloppy Joe’s, burgers on the grill, spaghetti and who knows what else. We never plan on a “wild game night” at the house. We just plan to cook dinner, and that usually means wild game by default.